Connecting California to Improve Patient Care is an annual conference featuring presentations on electronic health records (EHR) and on the use of national technology standards to establish interoperability for electronic patient healthcare data. Conference presenters will explain practical solutions for securely sharing electronic clinical information between computer systems at unaffiliated health care facilities, such as outpatient practices, hospitals, laboratories, imaging centers, long term care, home health, public health, payers, patient engagement portals and mobile apps. Conference attendees will learn about best practices in health informatics. Speakers will discuss the current status of health information technology in California, national software road maps for data standards, interoperability, patient safety, and emerging tools and opportunities for physician and patient engagement. unable to attend the conference. 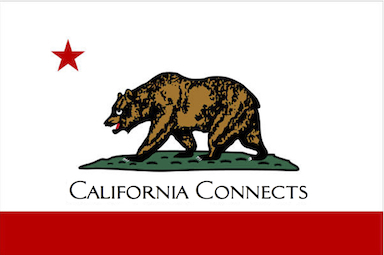 California Connects Interoperability Exhibition, hosted concurrently as part of the Redwood MedNet Conference, will feature practical kiosk demonstrations on interoperability. The kiosks will show the secure exchange of electronic health data, including patient engagement with the care team, in a hands on manner that allows one on one interaction with kiosk presenters. California Connects 2015 is hosted in an exhibition area adjacent to the plenary ballroom for the Redwood MedNet Conference. The demonstrations allow conference attendees to see clinical data interoperability solutions based on current and planned technology standards for electronic clinical data exchange. The California Connects demonstrations are open to the public during the 2015 Redwood MedNet Conference.